Under Initiative 71, an individual 21 or older can possess up to two ounces of marijuana for personal use and can grow no more than six cannabis plants with 3 or fewer being mature, within the person’s principal residence. The Initiative also allows an individual to transfer without payment (but not sell) up to one ounce of marijuana to another person 21 years of age or older. It also allows adults to use or sell drug paraphernalia related to the use, growing, or processing of marijuana or cannabis. The Initiative provisions the use of marijuana on private property. However, it is still not allowed on public grounds or federal property. Public consumption is a civil penalty with a max fine of up to $100 and police are always on the lookout to write people up for DUIs. 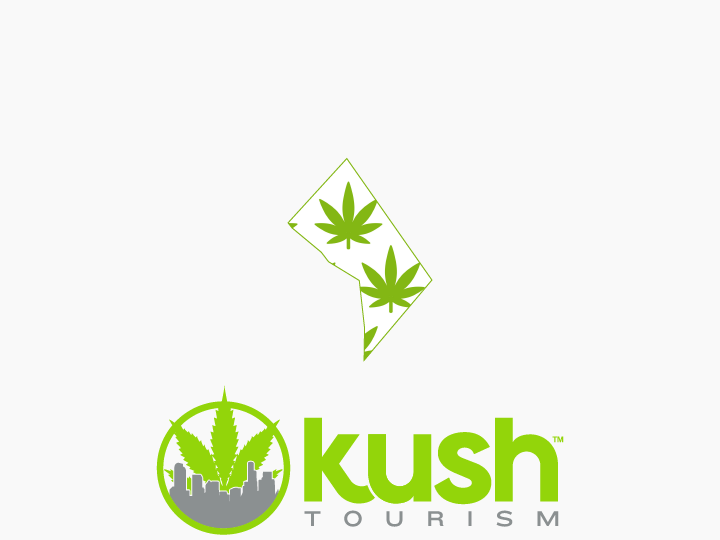 The best advice we can give to tourists looking to partake in the cannabis culture is discretion. It’s best to keep your marijuana use out of public areas, but if you must smoke out in the open, a discreet vape pen is your best option. Nov 2nd, 2016, DC city council voted to allow medical marijuana patients from other states to make purchases! Is Marijuana legal in Washington D.C? Yes. Medical marijuana is legal, and recreational marijuana for adults 21 and older was legalized in November 2014. Can I get my Medical Card if I am not a Washington D.C Resident? No, you cannot get your medical marijuana card if you are not a Washington D.C. resident, this makes us sad! Although you cannot buy medical cannabis at gas stations yet, currently you can buy it at many dispensaries located across the District. As for recreational purchases, Initiative 71 did not provision for the sale of marijuana and someone can still be arrested for selling any amount of recreational marijuana to another person. There are currently no recreational marijuana shops open in Washington D.C., so the only way to purchase marijuana legally is at a medical dispensary. For that, you need a medical card, which you can get from specific doctors in the state. When state licensed recreational stores begin to open up, customers will need a valid form of government-issued identification proving that they are over the age of 21. How much will marijuana cost? The price of marijuana depends on strain and quality, but you can expect marijuana prices to be between $10 and $30 per gram. D.C. law forbids imposing a tax via the ballot initiative process, so Initiative 71 does not set up a Colorado-like system of taxing and regulating the production and adult retail sales of marijuana. Under Initiative 71, adults 21 and older may possess up to two ounces or less of marijuana and cultivate up to six marijuana plants, with no more than three flowering at once. It allows for transfer without payment (but not sale) up to one ounce of marijuana to another person 21 years of age or older. It also permits the use or sale of drug paraphernalia related to use, growing, or processing of marijuana or cannabis. It will be up to each dispensary/retail shop to decide how much they will sell at one time. Washington DC has decriminalized less than 1 ounce of marijuana for personal use, and it’s maximum fine is $25. No. All marijuana and marijuana products purchased in Washington D.C. must be consumed in Washington D.C. Legally, you can only consume in private as provisioned by Initiative 71. However, at many events in Washington D.C you will see citizens openly consuming in public as a form of civil disobedience and walking around you will most likely see someone violating the public consumption law. If you must partake in public, a vape pen is your most discreet option. Topicals are a form of cannabis infused into a cream, soap, or other product that you can rub into your skin, and to our knowledge topicals do not have a psychoactive affect. Do not confuse topicals with transdermal patches though, which will have a psychoactive effect. When will state licensed stores open up? This question is completely up in the air because Initiative 71 did not provision for the sale of marijuana. To purchase legally, residents must have a Washington D.C. medical marijuana card and visit a licensed dispensary. Yes. You can always get in trouble at the federal level until marijuana is rescheduled, but as long as you follow the laws for marijuana in Washington D.C, local authorities will not have any issues with you. This forum contains 16 topics and 44 replies, and was last updated by kkenly89 11 months, 1 week ago. When Did Washington D.C. Make Marijuana Legal?